The poll, some of whose questions were sharply criticised as biased by several experts, was released just five days before Iran meets with the so-called P5+1 nations – the U.S., Britain, France, China, Russia, and Germany – in Baghdad to discuss the future of its nuclear programme. Hopes that the Baghdad meeting could produce agreement on a number of confidence-building measures, including a possible freeze by Iran of its enrichment of uranium to 20 percent, have risen since the two sides met in Istanbul in April. The announcement in Vienna on May 18 that the director-general of the International Atomic Energy Agency (IAEA) Yukiya Amano will travel to Tehran May 20 - apparently to sort out the terms for a visit by his inspectors to a military base suspected of housing a nuclear-related testing facility - has fuelled those hopes. The poll, which was conducted between mid-March and mid-April, was part of Pew's annual series on global attitudes that has run over the last 12 years. The latest survey questioned more than 26,000 people in 21 countries about a range of issues beyond those having to do with Iran and its nuclear programme. Other findings by the survey are expected to be released in the coming weeks and months, but Pew released the Iran- related results in light of heightened public interest surrounding next week's meetings. In addition to the P5+1 countries themselves, the countries covered by the poll included five other European countries – Spain, the Czech Republic, Italy, Poland, and Greece; six predominantly Muslim nations – Turkey, Jordan, Egypt, Lebanon, Tunisia, and Pakistan; as well as Japan, India, Brazil, and Mexico. Critics of the survey charged that key questions about Iran's nuclear programme and what to do about it contained factual assumptions - for example, that Iran's nuclear programme is designed to develop nuclear weapons - that were themselves questionable. Tehran has steadfastly insisted - most recently by Iran's Supreme Leader, Ayatollah Ali Khamenei - that its programme is intended for civilian uses only. The U.S. and Israeli intelligence communities have also assessed that no decision has been taken by Iran's leadership to build a weapon, although aspects of its nuclear programme – notably its enrichment of uranium – would certainly be relevant if such a decision were taken. In its poll, Pew found majorities ranging from 54 percent (China and Turkey) to 96 percent (Germany and France) in 18 of the countries said they were opposed to Iran "acquiring nuclear weapons". The three exceptions were Pakistan, where only 11 percent said they opposed such a development; India, where 34 percent opposed a nuclear-armed Iran, and 51 percent said they had no opinion; and Tunisia where opponents and supporters were evenly split. When respondents who said they opposed a nuclear-armed Iran were asked how such an eventuality might be prevented, there was far less agreement. Asked about using "tougher international economic sanctions on Iran to try to stop it from developing nuclear weapons," majorities in 16 countries ranging from 56 percent in India to 80 percent in the U.S. and Germany said they approved. But majorities in Tunisia, Turkey, Pakistan, and, significantly, China (54 percent) disapproved, while in Russia, a slight plurality said they approved. Particularly notable, however, was the fact that, compared to the answers to the same question two years ago, support for sanctions has generally declined, most dramatically in Russia (from 67 percent approval to 46 percent); China (from 58 percent to 38 percent), and Turkey (from 44 percent to 34 percent) despite the deterioration in Ankara's relations with Tehran over the past year. As might be expected, Pew found less support among those respondents opposed to a nuclear-armed Iran about using military force to prevent it from acquiring a weapon. Asked which was more important: "preventing Iran from developing nuclear weapons, even if it means taking military action or avoiding a military conflict with Iran, even if it means they may develop nuclear weapons," pluralities or majorities ranging from 46 percent (Lebanon) to 55 percent (Brazil) in 14 countries, including Mexico, Egypt, Jordan, and all but Russia in Europe chose the military option. In addition, the U.S. was the most hawkish by far at 63 percent. On the other hand, a 69 percent majority in Tunisia gave greater importance to avoiding military conflict, as did pluralities in Pakistan (29 percent), China (39 percent), Turkey (42 percent), Russia (41 percent), and Japan (49 percent). Remarkably, support for military action fell in most of the countries that were polled on the same question in 2010; most notably in four of the six P5+1 countries, including Russia (from 32 percent to 24 percent), China (from 35 percent to 30 percent), France (from 59 percent to 51 percent), and the U.S. (from 66 to 63 percent). The question itself, however, came under fire from a number of critics here who said that its "either/or" phrasing presents a false choice: military action that would prevent a nuclear-armed Iran or living with a nuclear-armed Iran. "There are non-military options for preventing a nuclear-Iran," said Daryl Kimball, executive director of the Arms Control Association (ACA) here. 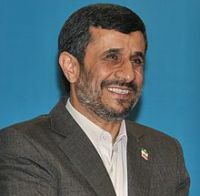 He also noted that the question assumed that the use of force "would be successful in preventing a nuclear-armed Iran, while the consensus among U.S. European, and Israeli military experts is that a military attack on Iran's nuclear facilities would at best delay Iran's programme by a couple of years or so, but would not 'prevent a nuclear-armed Iran'." Similarly, Steven Kull, the director of the University of Maryland's Program on International Polling Attitudes (PIPA), criticised the questions, noting that "other polls (including some that PIPA has conducted) that offer a menu of options (for dealing with Iran's nuclear programme), including diplomacy and sanctions, have found that only small minorities elect to take military action." Moreover, he said, the question about economic sanctions – do you approve or disapprove of tougher international economic sanctions on Iran to try to stop it from developing nuclear weapons – "implies that Iran is in the process of developing nuclear weapons. This is actually contrary to the conclusions of the U.S. intelligence community. It is implicitly making a statement about Iran's intentions."